AMD's new Ryzen Balanced power plan is offering an answer for early performance woes with its new CPU. The power profile tweaks how Windows 10 handles power states of the individual CPU cores and can bump performance from 3 percent all the way to 21 percent in many popular games, AMD said in a blog post on Thursday. To obtain and install the updated power plan, you can visit AMD's blog or download the zip file directly from AMD here. AMD said the power plan, which will soon be rolled into a chipset driver package, tweaks Windows 10's treatment of virtual cores and physical cores. When Ryzen first arrived, many theorized that the Windows 10 scheduler—how an OS doles out work to individual cores—was to blame for the gaming performance gap because Windows 7 was often faster. In the end, AMD absolved Windows 10 scheduler of any blame, but that doesn't mean Microsoft's top OS is also free and clear. 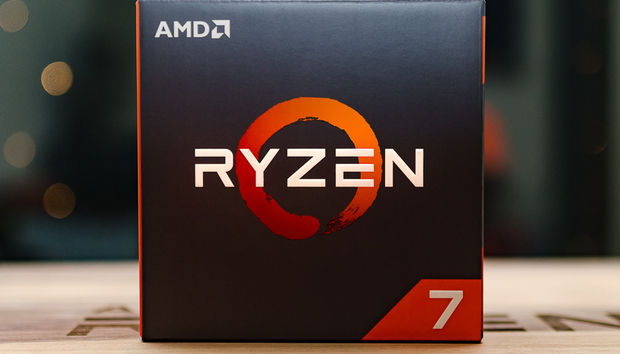 Why this matters: AMD's new Ryzen CPUs have proven to be highly competitive with Intel's offerings in applications, but gaming performance often trails Core i7. With the updated power plan, AMD hopes to close the gap. Windows 7 keeps all physical cores awake and parks the virtual cores in CPUs. Windows 10, however, keeps one physical core and one virtual core awake and puts the rest asleep until they're needed. The updated power plan from AMD helps reduce performance hits by keeping the physical cores awake. Intel, AMD said, takes a similar path with its own power plans. AMD, in fact, had already been recommending that consumers run the High Performance profile instead, which keeps all of the cores awake. In testing, AMD said it found the largest performance increase came in Crysis 3, which saw a 21.6-percent bump compared to running the default Balanced power plan in Windows 10. Other games also saw decent increases: Gears of War 4 saw a 16.5 percent bump. Battlefield 4 enjoyed a bump of 8.8 percent to 10 percent. Shadows of Mordor saw a 6-percent boost, and Grand Theft Auto V accelerated by 4.4 percent. AMD has released a power plan for Windows 10 that it claims can bump gaming performance from 2 percent to 21 percent.